First off, let me make this emphatically clear – President Trump DID NOT CAVE. Get over that idea, that ridiculous notion, that phony headline! 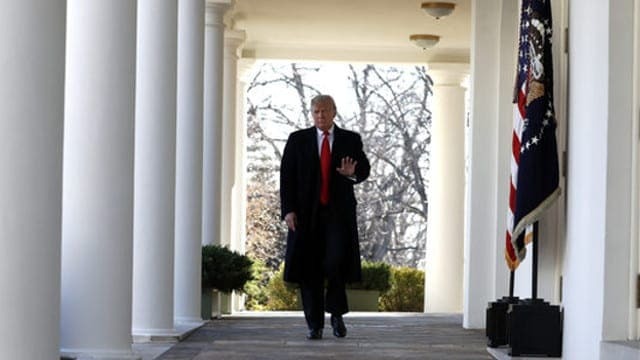 On Friday, this President, Donald Trump, once again displayed leadership by re-opening the government and ensuring over 800,000 federal employees and contractors get paid. That said, with that phase of his strategy, the divisive and recalcitrant Democrats now have three-weeks, that’s 21-days to really show the American people that they actually really and truly care about solving this very serious and real security and humanitarian crisis along our southern border or the President will be forced to lead again and solve it on his own without them by declaring a National Emergency. He has already addressed this on multiple occasions and has discussed it with Speaker Pelosi and Senate Minority Leader Schumer – they both fully understand and know the consequences, trust me, they do and they’re scared! Certainly, within the next week or so, President Trump will now get his State of the Union, though I was confident he would have found a way to give it anyway. He will talk and yes I said talk, to the American people, the members of both houses of Congress, and our nation’s leaders about why our national security experts believe that building a border Wall significantly reduces human trafficking, drug smuggling, illegal immigration and dangerous bad actors, like radical Islamic terrorists, MS-13, and others from crossing into our sovereign nation from Mexico. Understand the Democrats actually are well aware of what is happening. This week, CNN’s Dana Bash made the point that” Democrats are getting pounded because the Trump message, the Republican message – and that they (the Democrats) don’t care about border security has now started to seep in.” This is precisely why and is the brilliance of Donald Trump who has planned and recently delivered a primetime address to the nation from the Oval Office, and again on Friday afternoon when every news outlet aired his announcement. President Trump is doing what the mainstream media won’t do – shining a light on how bad things are on our southern border. 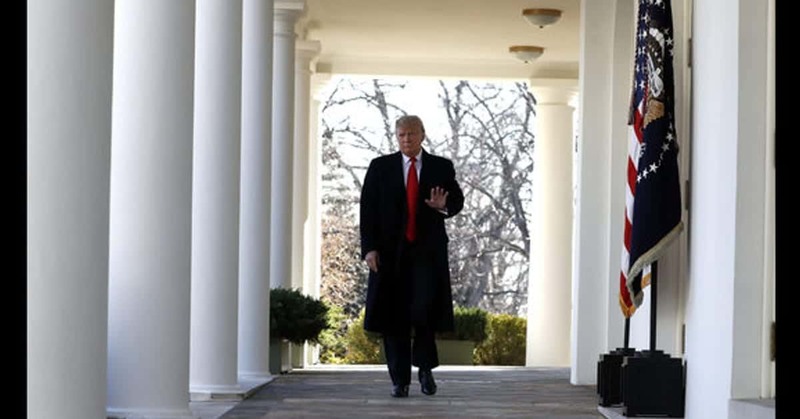 He is exposing the truth, and Americans are beginning to realize it too – believe me they know, and they also know that their relentless rhetoric is failing and the Emergency declaration and the wall are coming. Going forward, I predict that President Trump will be the one who will come out looking reasonable, responsible, rational, and compassionate. The American people are seeing right through Nancy Pelosi and Chuck Schumer’s motives: increase the Democrats ranks with illegal immigration to steal future elections, obstruct the President at all costs, disregard the rule of law, wasting hundreds of billions of tax dollars to deal with repercussions of an open border, and the political-lefts demonization of all individuals who don’t subscribe to their group think! As I said, Nancy and Chuck know this too. We are living in very scary political times when Democrats openly support open borders at the expense of their fellow citizens, by encouraging caravans which equates to mass invasions on our southern border of undocumented immigrants, criminals, and likely terrorists masquerading as refugees, they have had enough and they are getting angry. The government is now open and it’s time to conduct the work of the people and follow the responsibility entrusted in the President of the United States under the Constitution — to protect and provide for the safety and security of the American citizens. Not to do so would be shameful and would be criminal! At the same time the partisan divisiveness, the relentless attacks, and the unfounded anti-American rhetoric on American citizens — it must stop!